10 It was pleasing in the sight of the Lord that Solomon had asked this thing. 11 God said to him, “Because you have asked this thing and have not asked for yourself long life, nor have asked riches for yourself, nor have you asked for the life of your enemies, but have asked for yourself discernment to understand justice, 12 behold, I have done according to your words. Behold, I have given you a wise and discerning heart, so that there has been no one like you before you, nor shall one like you arise after you. 13 I have also given you what you have not asked, both riches and honor, so that there will not be any among the kings like you all your days. 14 If you walk in My ways, keeping My statutes and commandments, as your father David walked, then I will prolong your days,” 1 Kings 3:9-14. 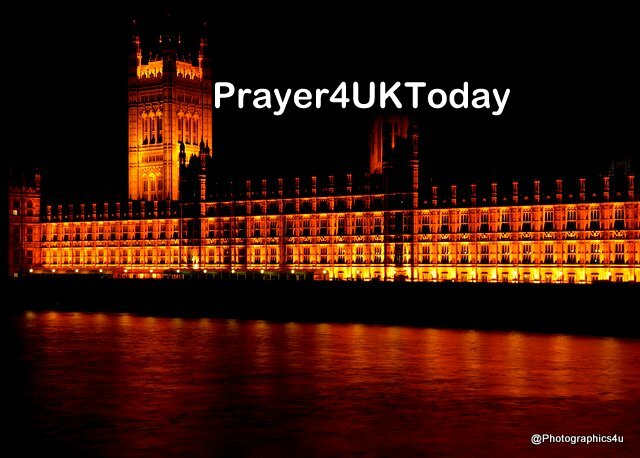 Father God we pray for Theresa May, the Cabinet, Dominic Raab and the Brexit Team, Michel Barnier, Donald Tusk and the EU Team. We ask that You will give them Your Wisdom, patience, endurance, understanding and a listening ear in all their discussions. We pray that Your perfect will be established in all concerned.  We decree and declare the GRACE and UNDERSTANDING flow from the Throne of the Most High/ ’Elyon, to those who live RIGHTEOUSLY and HONESTLY, washed in the Blood of the Lamb, Christ Jesus/ Messiah Yeshua.  We decree and declare UNDERSTANDING and WISDOM are upon God’s Leaders, His Children, in this hour. He alone anoints with DISCERNMENT to JUDGE this great People.  We decree and declare, to those who seek from the Lord WISDOM and UNDERSTANDING to administer justice righteously, the Lord will bestow RICHES and HONOR. As a Christian, when I am in the midst of crisis, either personally or supporting others going through real trials, uncertainty, disaster or fear, this verse always seems to come to the forefront of my mind. It reminds me that Jesus is the source of peace that it so different, lasting, powerful, pure and secure from anything the world could ever offer. It always carries me through. Furthermore, in the midst of other people’s crises, it reminds me of who fills me, who lives in me, who works through me, and whose power and wisdom I can rely on to bring a sense of peace and perspective to others. Father, I thank you that you offer a peace that goes beyond everything the world could ever offer and you are always there to help in times of need. Thank you that we can rely on your peace to strengthen us in our weakness and carry us through every fear.